(Sept. 11, 2014) – The do-it-yourself movement is transforming cities with invention-focused Maker Faire events, growing entrepreneurship, and a new Toyota concept to fit these trends. Inspired by a growing innovative spirit in urban areas, Toyota revealed today the Urban Utility concept vehicle – or U2 – at a private panel discussion hosted by Make: magazine in San Francisco. Vehicle elements reflect the lifestyle and needs of an entrepreneurial, urban driver discovered through interviews with Maker Faire participants and internal Toyota market research. 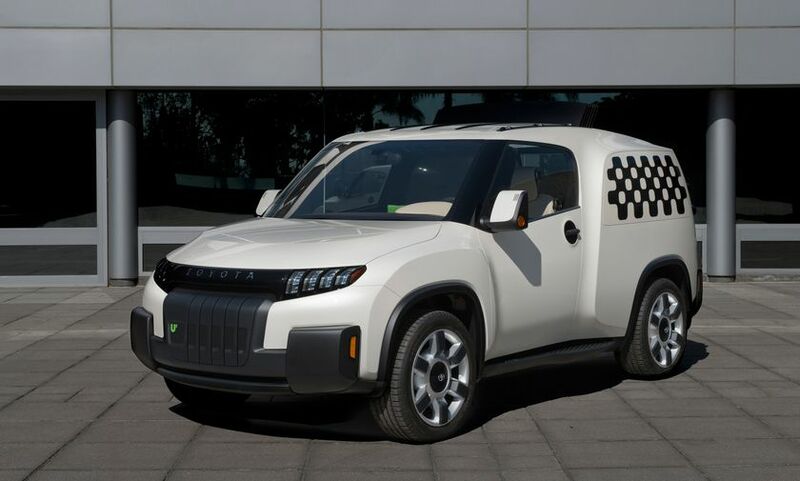 Developed by Toyota’s Calty Design Research in Newport Beach, California, the Toyota U2concept features a new open architecture and purposeful materials that redefine urban utility. Designers included the ability to roll back the roof, fold down the tailgate into a ramp and customize the interior on a versatile rail system. The concept car will make its first public appearance at World Maker Faire in New York City on Sept. 20 and 21. Bringing the concept to a Maker community event allowed Toyota to gain feedback from a key audience. Among the U.S. trends that influenced the Calty design team were a growth in entrepreneurship and Americans’ love of adventure, especially outdoor activities involving gear and equipment. Drawing on these insights, the Toyota U2 concept is a flexible, functional gadget that owners can customize according to individual, on-the-go needs. The retractable utility bar can serve unique uses, such as holding a desk or grocery bag hooks. Side windows flip up for easy access from roadside. Toyota research showed the fast-growing small SUV segment points to a desire for greater utility but a smaller vehicle footprint. The Toyota U2 concept is the size of a compact car with the functionality of a compact truck and the spaciousness of a cargo van. It satisfies other key urban driver priorities including good fuel economy, maneuverability in city environments and easy loading and unloading. City streets call for a vehicle that can handle bumper-to-bumper traffic, potholes and tight corners. 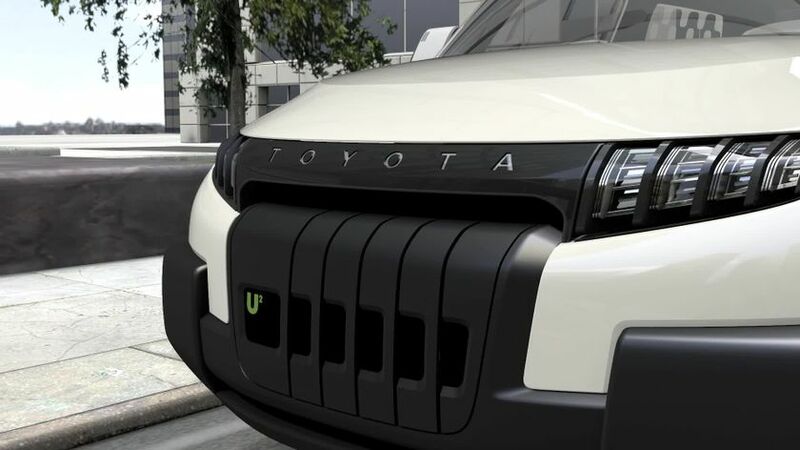 The Toyota U2 concept has an extremely durable underbody and tool-like exterior with a customizable side panel. The iconic, modern design remains playful, with details such as circular door handles and a slightly chunky proportion. The box-like design at the rear emphasizes the storage capabilities. After its public reveal in New York, the Toyota U2 concept will return to the Calty studio in California. For more information about Toyota innovation, visithttp://www.toyota.com/usa/operations/design-research-development.